People in the pro-Palestinian community worldwide will be watching to see if any of the new left-wing progressives elected in the midterms will dare speak out—and vote against—the wishes of the Israel lobby. The answer will likely come early next year, in test votes sponsored by the American Israel Public Affairs Committee, or AIPAC, after the 116thCongress convenes. If the past is any guide, Democratic leaders will insist on strict subservience from newcomers to the party’s foreign policy priorities, which include U.S. sponsorship and defense of the Israeli occupation and war crimes. Some members-elect voiced remarkable criticism of Israel in the primaries. 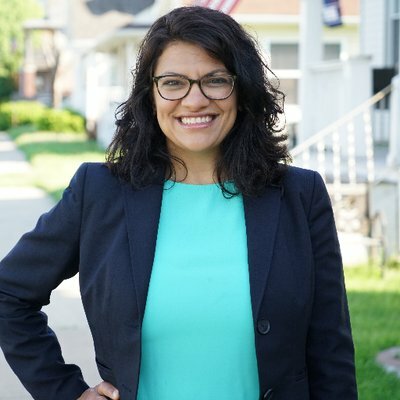 Rashida Tlaib, from Michigan, may have gone the furthest, by calling for one state in Palestine. Ilhan Omar, from Minnesota, referred to Israel’s “evil doings” and condemned apartheid in Israel. Alexandria Ocasio-Cortez, from New York, spoke against the occupation of Palestine. After the primaries, however, Tlaib, Omar and Ocasio-Cortez softened their rhetoric. In a post-victory interview, Tlaib said that both sides (occupiers and occupied?) have “so much more in common.” Ocasio-Cortez was quoted as favoring a two-state solution and believing “absolutely in Israel’s right to exist” (as an apartheid occupation state?). She has expressed faith in U.S. legitimacy as “a force of good” in the world and shrugged off any serious understanding of the Middle East. Antonio Delgado, who upset a GOP incumbent in upstate New York, caught heat during the general campaign for his positions on Israel. When he rejected the “democratic” label for Israel, his comment was widely described by news media as a regrettable gaffe. The nature of U.S. public attitude towards Israel is changing. A few decades ago, isolationist conservative Republicans were the most likely to be detractors. That role has shifted to liberals in big cities. These days, southern Baptists and conservative Republicans in rural America are providing Israel some of the staunchest support. But this change doesn’t mean much in Congress. On Middle East issues, Democrats and Republicans remain ardent and automatic supporters of Israel. Despite the War Powers Act of 1973, designed to check the president’s power to commit the country to an armed conflict, the president retains quasi-imperial powers of foreign policy making. Given voters’ worship of the military, representatives are often afraid to reject wars and interventions that presidents seek. To be accused of “failing to support the troops” is fatal to candidates from both parties. California Rep. Barbara Lee famously cast the lone vote against the authorization of military force following Sept. 11, 2001. The two ruling parties, meanwhile, muzzle democratic discussion of their foreign policy agenda. Through the nominating process, the big wigs of the Democratic Party are able to sideline dissent. The Republican primaries, meanwhile, can seem like contests for the greatest show of fanaticism in supporting Israel. Even in local elections–for mayors and city council—defiance of AIPAC can kill off contenders’ chances. Some members of the Congressional Black Caucus, dominated by Democrats, break with AIPAC influence on votes, but the caucus leadership is closely aligned with the pro-Israel lobby. The internal Democratic split (between its leadership and the liberal base) on Israel is comparable with that of liberal European political parties. The Socialist Party of France, for instance, pursues a traditional pro-Israeli agenda despite pro-Palestine sympathy within its ranks. The same had been true of the Labour Party in the U.K., until the rise of Jeremy Corbyn as leader. The United States has come to insist on a pro-Israeli plank from its European allies. In the 1970s, European nations often held positions on the PLO and on Palestinian self-determination that broke with U.S. doctrine. Since then, however, European disagreement with the U.S. on the Arab-Israeli question has diminished. AIPAC, and its unofficial research arm, the Washington Institute for Near East Policy, have managed to establish themselves as the moral and authoritative sources of legislation and information on all matters related to the Arab-Israeli conflict and the Middle East. The lobby has succeeded through intimidation, as detailed in “They Dare to Speak Out,” a book by former Illinois Rep. Paul Findley, a Republican. One successful method has been conflating any criticism of Israel with anti-Semitism. This tactic has been most effective in discouraging U.S. politicians from opposing Israel. It must be stressed that AIPAC is not a “Jewish lobby,” but a pro-Israel lobby. Its champions are not exclusively Jewish. Anti-Semites wish to portray the lobby in classically bigoted terms, as a Jewish conspiracy. But some of its most ardent adherents have been non-Jewish U.S. presidents, members of Congress and administration officials. On Palestine, Congress has changed substantially over the years. In the early 1980s, a few lawmakers, from both parties, still dared to challenge AIPAC, which was founded in 1963. In his 1985 book, former Congressman Paul Findley, now 97, describes some of them. Back then, a wing of the Republican Party even stood for “even-handedness” in the Middle East. By the end of the 1980s, few of these moderating voices on Israel were left. They’d either retired or lost their seats. Since the 1990s, dissent on Israel is virtually absent in the upper house of Congress. The late Robert Byrd, from West Virginia, who died in 2010, was the last senator who dared to vote against legislation favored by AIPAC. In the House, in recent years the number of members who–on rare occasions–vote to defy the Israeli agenda, has risen. But unlike in previous years, little is ever said about the rights of Palestinians or directly against AIPAC. Dennis Kucinich, former member of Congress from Cleveland, and a former presidential candidate, may have been the last member to publicly champion the Palestinians. (He once told me that he made it a point to speak about Palestine weekly.) He lost his seat after redistricting in 2012. The question now is whether some of those new faces in Congress, who carried the progressive torch in the campaigns, have the courage of a Kucinich on Israeli matters. Will any of them break the taboo against speaking for Palestine or against AIPAC? Their silence regarding the on-going Israeli assault on Gaza so far is deafening. Suckers bet. They will not speak out.